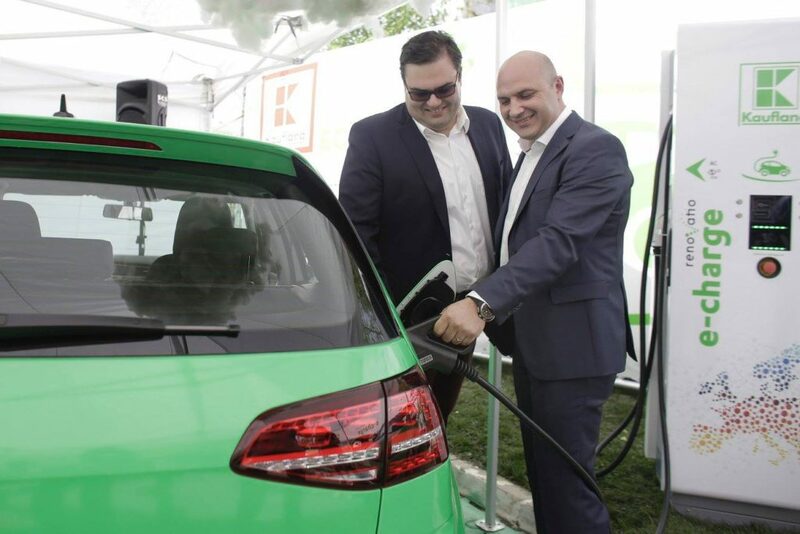 Recently a big-box retailer in Romania, Kaufland, announced it would build a network of 10 fast charging stations across Romania. I take this as a cool sign of progress with electric vehicle adoption. 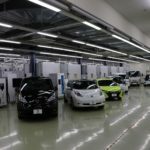 While Western Europe has taken to electric vehicles in a big way, especially Norway, Netherlands and Germany, Eastern Europe has not done much in this area. Well, except for Estonia, where a huge fast charging network was built across the entire country a couple years ago. As can be easily seen by looking at charging station maps, Eastern Europe has essentially zero charging stations (see map below), a strong indication of very few electric cars in that region. 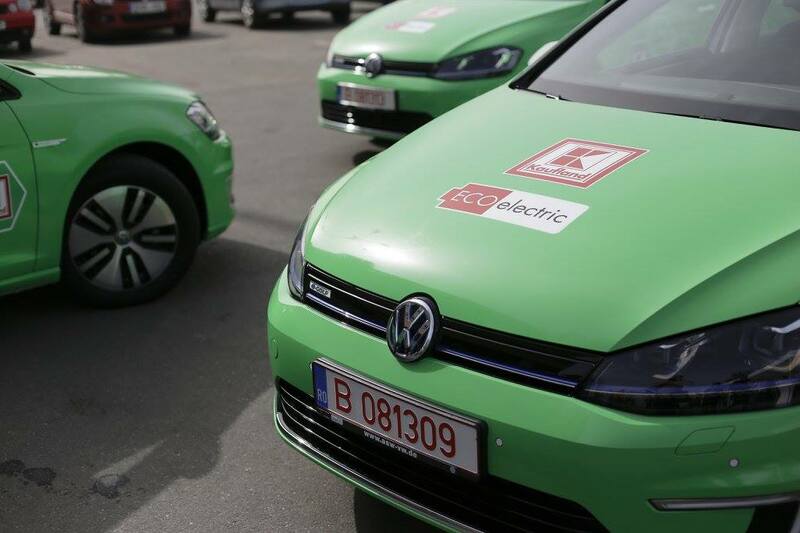 But, here we have a major retailer in Romania (Kaufland is roughly similar to Walmart) making a major commitment, in a country with very sales of electric vehicle and a housing infrastructure that makes it extremely hard to consider getting an EV. Kaufland’s press release says they’ve installed one charging station at their headquarters store in Bucharest (on Barbu Vacarescu Boulevard). Subsequent stations will be installed in Kaufland store parking lots in Arad, Timisoara, Deva, Sebes, Sibiu, Ramnicu Valcea, Pitesti, Constanta and Bucharest, as well as the A2 motorway. That defines a corridor through Transylvania (a.k.a. Ardeal) going through Pitesti, then Ramnicu Valcea, crossing the Carpathian Mountains, connecting to Sibiu, and from there to Timisoara/Arad. Constanta is in the other direction, on the Black Sea coast. 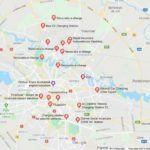 These locations show that Kaufland’s management didn’t just randomly scatter charging stations but thought about what would make a useful network. The glaring omission is to leave out cities like Cluj-Napoca, Iasi and Craiova, all of whom are growing rapidly. 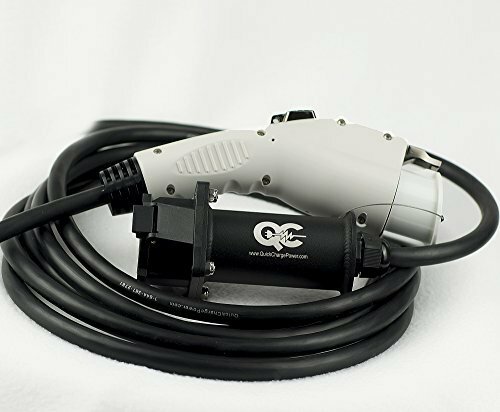 The installations are using Efacec fast charging stations that support both CHAdeMO and Combo Charging System, and they also support AC charging at up to 22 kiloWatts. Apparently they’re not running the DC charging at full power (50 kW) but at 20 kW. 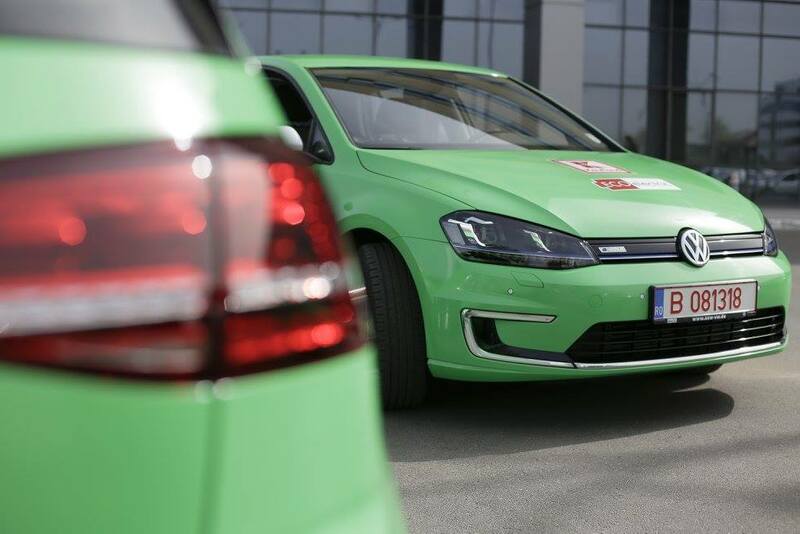 Kaufland has also bought a fleet of 18 e-Golf’s. For the project, Kaufland partnered with Renovatio , a company specializing in renewable energy development (Wind and Solar) in Eastern Europe. A website, http://www.e-charge.ro/ , will house the Internet presence of a new charging station network for Romania. There were already two such networks that I’d found, obviously I have to update that page. 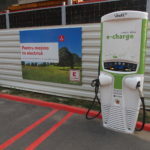 According to Kaufland, EV (and plug-in hybrid and hybrid) sales in Romania are growing rapidly, however the numbers they cite are still very low. I spent a month in Romania 3 years ago and saw very little sign of any electric anything of any kind. 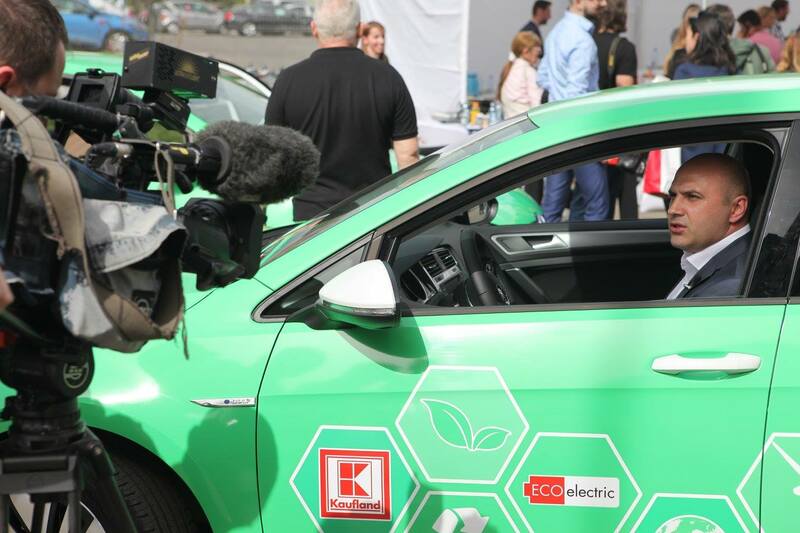 Romania’s organization for promoting electric vehicles, AVER , has several years of history, most of which is building experimental conversion vehicles. 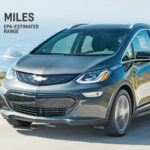 It will be wonderful if Romania can make the jump to OEM electric vehicles, perhaps focusing on the affordable models due to go on sale over the next few years. However, the country has a major hurdle to overcome – their housing stock is largely apartment blocks left over from the Communist era. Parking is very difficult to find, because when these were built car ownership rates were extremely low. That makes the “charge at home” scenario essentially impossible for the vast majority. 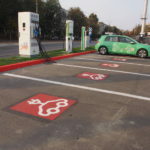 No ability to charge at home, and an extremely inadequate public charging infrastructure, means the vast majority of Romanians would be foolish to buy electric cars. Only those well off enough to afford a home could manage it. 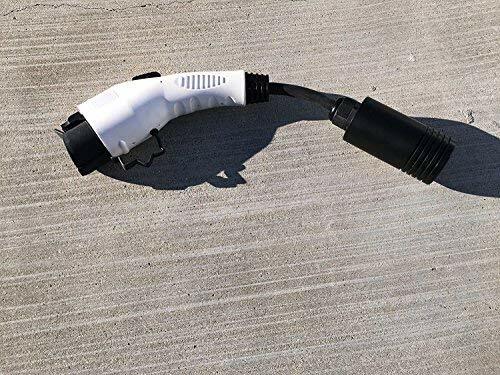 As I see it, what will make EV’s feasible in Romania is spreading fast charging infrastructure throughout the major cities, and along the highway corridors between cities. This step – building out one EV charging corridor and promising additional stations in the future – is a good step. Those who do have home charging will then be able to take trips along that corridor. The cities along that route are popular destinations. Additionally, the aggressive rollout of Tesla Motors’ Supercharger network is reaching Eastern Europe. Currently there are no Supercharger stations there, but by the end of 2016 a bunch are planned all through that region, with four planned for Romania. 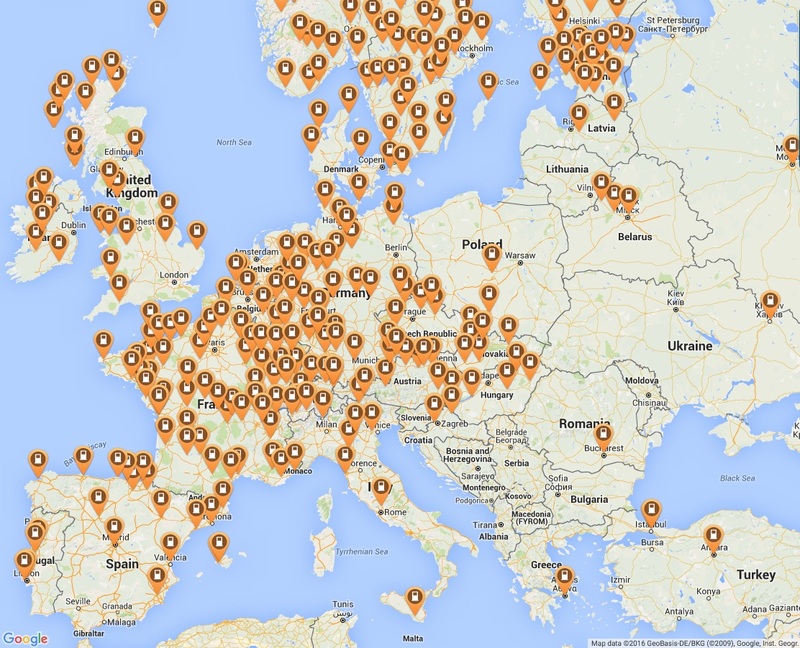 CHAdeMO and ComboChargingSystem presence in Europe. Notice the contrast as you go to former Soviet-Bloc countries. 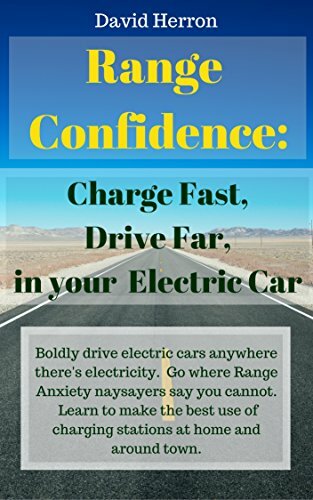 Electric car adoption, EV Adoption, EV Sales, Fast Charging, Romania. Bookmark.